Now everyone loves predictions and I’m no stranger. After over 20 years in the fitness industry, I’ve seen my fair share of trends (remember leg warmers and step aerobics…). Well, this year I’m going to put my experience to work and create some predictions. Take a look! 2014 Fitness Prediction #1 – Shorter, High Intensity Workouts Will Dominate. This year, your workout is going to get a lot more intense…or at least it should. High-intensity interval training is poised to hit the mainstream in 2014, according to a new survey from the American College of Sports Medicine. High intensity interval training, or HIIT, refers to workouts in which bouts of intense exercise are alternated with bouts of either rest of low-intensity activity. HIIT results in more fat loss than long, slow exercises like jogging, some studies have shown, and it’s beneficial for your heart, too. But the best part: It’s the most efficient workout around. For those of you that have followed Fire Rescue Fitness, you know I’ve been preaching and creating these workouts for a long time. I personally think that HIIT is one of the best workouts for firefighters but, you have to work your way up to it. If you haven’t been regularly exercising, keep it slow to start. You’ll also here a lot more about workout finishers (like my interval overhauls) and tabata style workouts. 2014 Fitness Prediction #2 – Paleo & Intermittent Fasting Will Be the Diet rages. Currently, some of the most searched health & wellness phrases are Paleo, Vegan, Weight Watchers, and the 5:2 fasting program. Also, if you look at the most searched terms for diets in Google, you’ll find that Paleo and Intermittent Fasting are pretty much #1 and #2 trending. My prediction is that we will see these search terms dominate in 2014. Honestly, I follow a modified Paleo diet and occasionally do some fasting. I love both and use both in varying ways because it keeps “eating” (not dieting) simple and easy to understand. Also, the quickest way I know to get anyone to lose weight and body fat is to have them follow “modified” Paleo and/or a 16-8 intermittent fasting regimen. Its an effective way to eat because it limits calories and focuses on eating real foods. 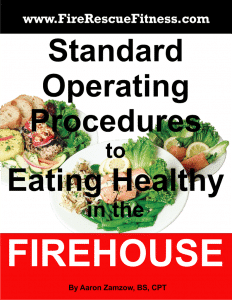 Speaking of an easy way to eat…check out and get my Standard Operating Procedures for Eating Healthy in the Firehouse. 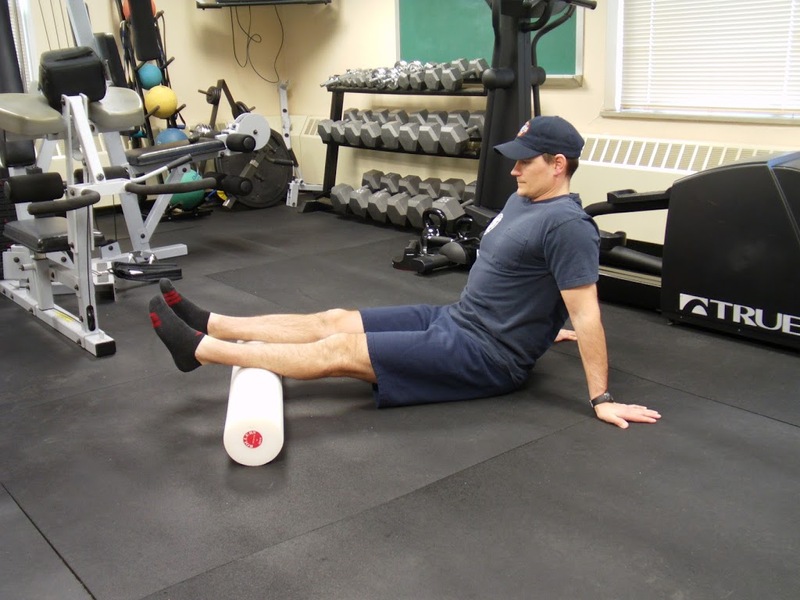 Prediction #3 Dynamic Warm Ups, and Self-Myofascial release will be THE way everyone in the gym starts their workouts. nothing for the body and can increase your propensity for injury. Almost all of the gyms here (and now firehouses) in Madison have foam rollers available. Effective programs must include an Active warm-up and flexibility training. The warm-ups prepare the body for movement, boosts heart rate, blood flow to the muscles, and core temperature. These movements also improve the function of your nervous system. Think of this component as taking a few minutes to warm-up a car that has been sitting outside in cold temperatures all night. The main goal of this the active warm-up and flexibility component is to improve the long-term mobility and flexibility of your muscles. The more flexible the muscle and joint around the muscle; the better the fire rescue athlete recovers and the less chance of injury. Here is an article that talks about this subject. The first transformation program that made a real impact in the fitness industry was Bill Phillips body for Life Challenges. Since then, the transformation angle has lost some luster but that will change this year. It seems now that there are a lot of different fitness-related companies sponsoring these type of competitions. Personally, my fire department union has sponsored a fitness challenge that has been highly successful. Last year we had over 33% of the department compete in the challenge and made a great stride in creating a more healthy culture around the firehouses. You can get an overview and rules of the contest from the Fitness Challenge website (Click Here). If you’re interested in creating your own fitness challenge, I can help, email mewith questions. The injuries are piling up and so is the frustration with Cross Fit. I think that Cross Fit has hit its peak. Don’t get me wrong, Cross Fit has a lot of good components to it but lacks sound periodization and planning. I think it’s time that people take a look at implementing the good aspects of Cross Fit and losing these negatives. I wrote an article about Cross Fit that lists the good and bad, you can read it HERE. Fire Rescue Athletes need to challenge themselves to improve their fitness but should emphasize conservative training over risking injury. I am a big advocate to training “hard” but safe. There are no exceptions and no excuses for bad form. Looking for a program that uses sound periodization, gets results and takes your level of fitness to the next level? Check out the FREE 28-day Fire Rescue Fitness Quickstart Program here.